Television shows are either a hit or miss with viewers. Sometimes a network can decide to cancel a hit show despite overwhelming fan reactions and campaigning. On today's post, I'm going to reveal the final network show that I believe should deserve a "last-chance" renewal. As mentioned in the previous post about NBC's Awake, I've picked one show from each of the five U.S. networks that I think deserves another shot to be saved from its cancellation. Starring (select names): Britt Robertson, Phoebe Tonkin, Shelley Henning, Thomas Dekker, Jessica Parker Kennedy and Chris Zylka. The Premise: After losing her mother in a mysterious house fire, Cassie (played by Britt Robertson) returns to the fictional town of Chance Harbor to live with her grandmother. What Cassie doesn't know is that she's a witch and a descendant from one of the most powerful witch families in Chance Harbor. Once she joins and is bound to the town's secret circle of teen witches, the Circle is soon pulled into a world of dark magic, deceit and mayhem. Reaction To Cancellation: Completely shocked and outraged. 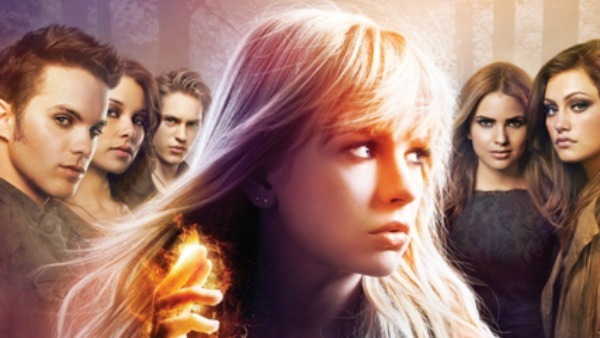 If there was new one show that I loved from the first episode to the last (including ABC'S Revenge and Once Upon A Time), it would be The Secret Circle. I read the book series years before the television show was announced and I was excited to see it adapted to the screen. The Secret Circle didn't do the best in terms of ratings (The CW shows never earn the highest out of the five networks) but it was the network's third highest rated show and had the potential to dominate for a second season. How It Could Be Saved: The Secret Circle cancellation has been a heated topic for the last month. While it has been revealed that plans to renew/sell the show have ended, there is always a last minute chance to save it. First of all, the "price and cost" to run the show is high, with special effects and on-site locations. While I understood this at first, the network picked up a large number of pilots and currently runs high-cost shows like The Vampire Diaries, Supernatural and Nikita so obviously the network has the funds to run this program. If cost is an issue, cut back on the special effects a bit and build upon the characters and storyline. The season finale opened the door to a great plot and by utilizing the writers more, the story alone could raise ratings.